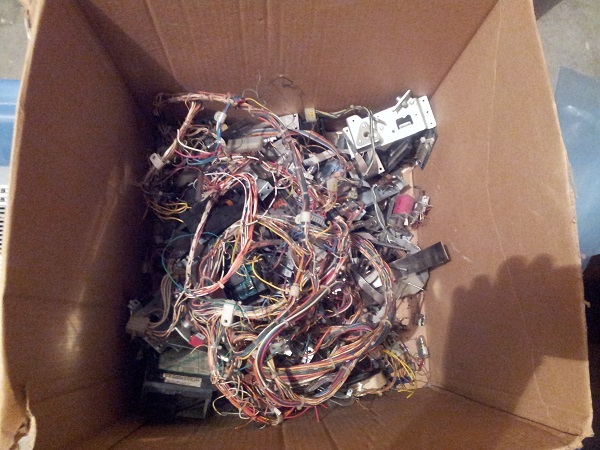 Boxes of pinball spare parts purchased and analysed. What treasures (and crap) will I discover? It’s been awhile since my last crap box purchase. I actually wasn’t keen on buying any more as I have built up a large amount of spare second hand parts that have come in handy for my pinball projects. This one however had a few very specific parts I wanted, so I couldn’t resist. At the cost of $12.50AUD, it was hard to go wrong. First up, the largest part here, was a coin door. 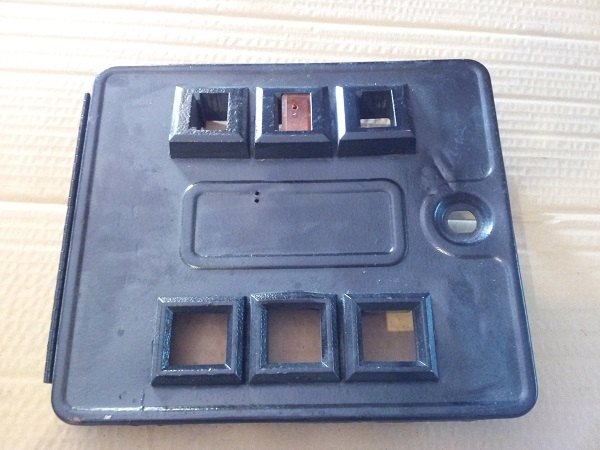 It’s not in the best condition, but the coin entry and return face plates are in good condition and match those found on my Pinbot machine. This could be useful for parts in the future. 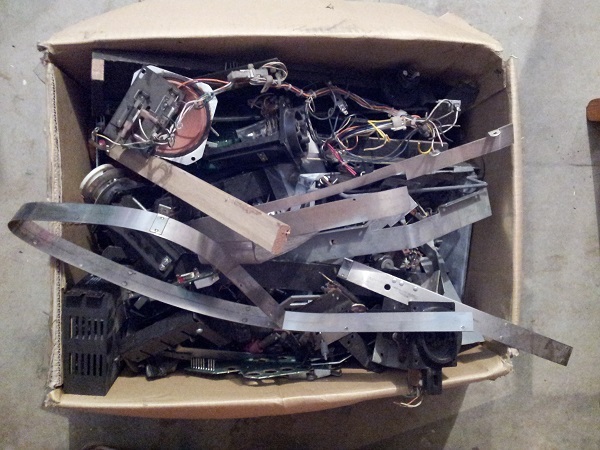 It’s time to once again dive into a pile of trash pinball parts and see what sort of gems I can uncover. 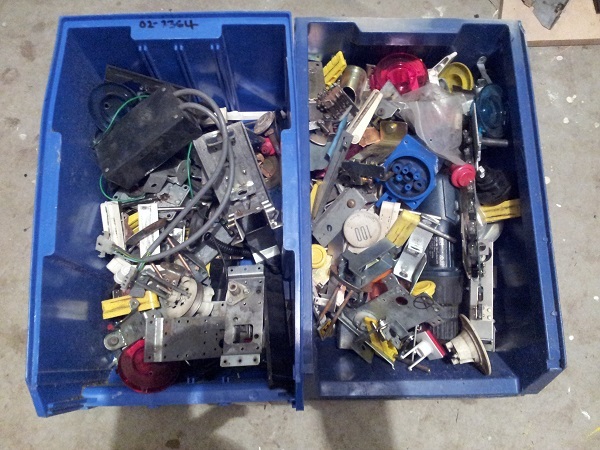 This lot of pinball spare parts (or crap box as it’s also termed) cost under $16AU. There wasn’t anything in the original photos that caught my eye, I just wanted more spare parts available at hand for my projects. So, let’s have a look. 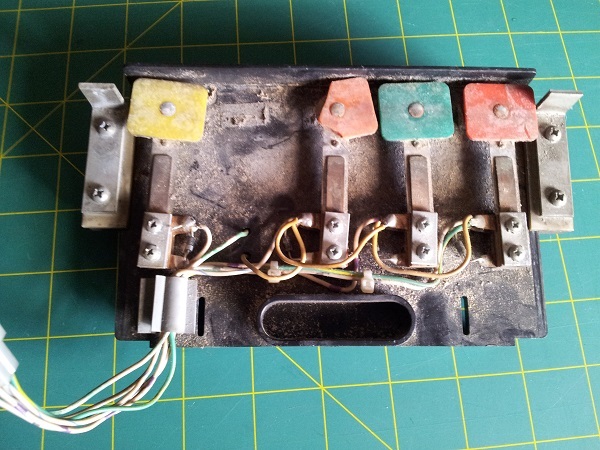 The second lot of crap pinball parts I picked up was less exciting than the first. This one was actually very specific and there was a good reason I picked it up. Not a ‘box’ of parts this time, but a small group of 3 target assemblies. I put them in a box when I got home – if that counts 🙂 For the price of $9, it was more expensive than the box in my last update. But there was one part here I specifically wanted. The first (and most important) was the target bank from Pinbot (the very machine I’m currently restoring). Ignoring the state of the missing and broken target, the frame is in much better condition than the one in my machine now and it’s a part you can’t just go out and buy. This one is not broken. It needs a good clean though.